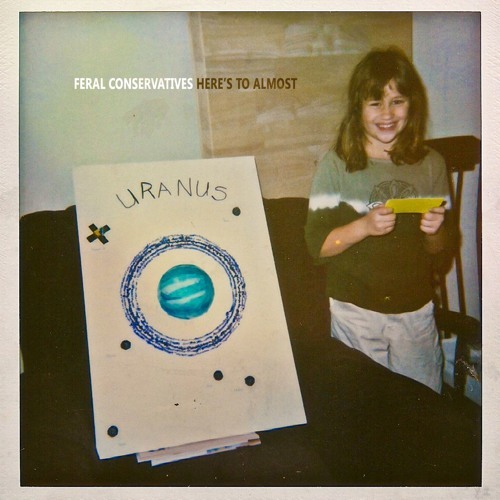 ➤ Support on Bandcamp: http://feralconservatives.bandcamp.com ➤ Support on iTunes: tinyurl.com/j79q2wu ➤ Support on Spotify: tinyurl.com/jouhzb6 recorded february 2014 through august 2015 (but we took some breaks) earthsound recording, Chesapeake, VA engineered by mark padgett produced by mark padgett and feral conservatives mastered by peter linnane at patch hill mastering, Boston, MA feral conservatives are: rashie rosenfarb vocals, mandolin matt francis drum set, pedal noise dan avant bass additional musicians: lead guitar on ‘last light’ and ‘bus driver’ gabriel rosenfarb keys on ‘round the corner,’ ‘bus driver,’ and ‘acrylics’ junior favela violin on ‘little pieces’ mishah rosenfarb violin on ‘pacific child’ rocky capizzi horns on ‘bus driver’ joe peterfeso feralconservatives@gmail.com | feralconservatives.com All songs written and performed by Feral Conservatives ©© 2016 Feral Conservatives. All rights reserved. Unauthorized duplication is a violation of applicable laws.